Jenny’s Kindergarten and Early Learning Centre’s are proud to announce the opening of our new location in the inner city suburb of Stanmore. 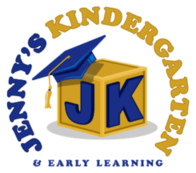 Jenny’s Kindergarten and Early Learning Stanmore is conveniently located in the inner city fringes with very close proximity to many known buildings such as, the University of Sydney and St Vincent’s Hospital. This state of the art facility is designed and purpose built truly to mirror the home environment tying in the significance of heritage and streetscape surrounds with beautiful glazed brick facades. Keeping in mind convenience and quality for each family, the service boasts plenty of off street parking conveniently located on the ground floor of the property, with two lifts that gain families access to the other two levels of the Centre. Both the indoor and outdoor environments boast premium facilities with an abundance of activities and resources. Each level comprising of their own outdoor space where the opportunities for children to create, explore, learn and have fun are endless. Each classroom will be specialised focusing on individualised age groups catering for children as young as six weeks of age, right up until they attend school, six years olds. Our educational curriculum is carefully designed to ensure that children are provided the highest quality of care, while they explore and develop in an exciting and innovative learning environment that is second to none. To complement our facilities is our exceptional level of educators that we carefully select to join our Jenny’s family. We pride ourselves in providing our families with Educators who are highly experienced, highly qualified and extremely passionate about early childhood. The Centre is the epitome of twenty first design lending its respect to the heritage area. We look forward to welcoming you all into our brand new state of the art facility!